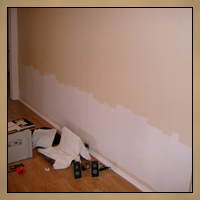 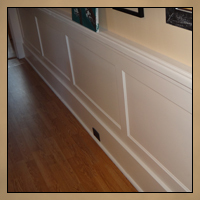 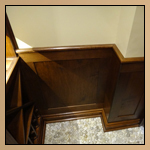 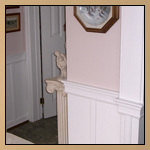 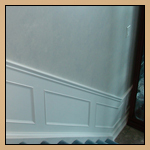 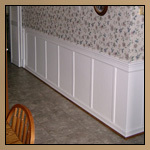 Traditional Bead Board Wainscoting - Wood Paneling This traditional wainscoting design was made using bead board wood paneling capped with a decorative chair rail moulding. 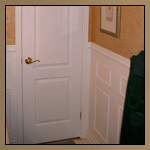 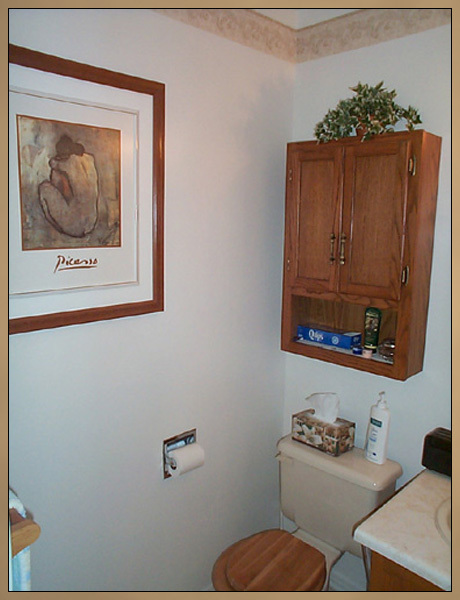 The knotty pine beadboard has been painted white to match the crown moulding, chair rail, door trim and baseboards. 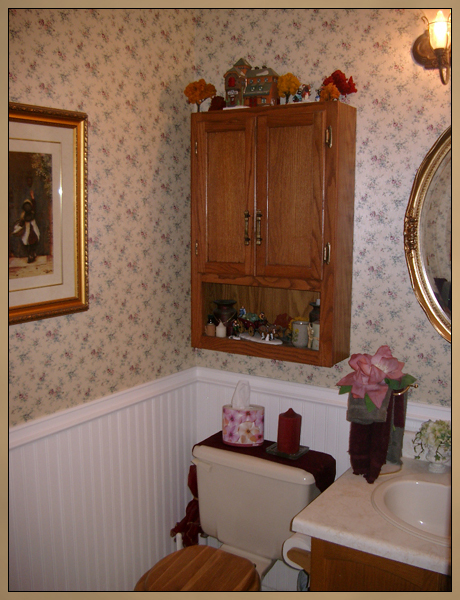 The painted tongue and groove paneling perfectly accentuates the decorative floral wallpaper and antique oval mirror, giving this powder room an elegant old fashioned feel.